Max Pictures’ Blather » Blog Archive » Product placement? Is it just me or did Lost move into familiar television territory last week? No, I’m not referring to the return of the show to Lost-normalcy after the swift, fan-induced demise of Nikki and Paulo (from Lost-meets-Twilight Zone-meets-V.I.P. episode ‘Exposé’). What caught my attention last Wednesday was the occurrence of what seemed suspiciously like product placement. Yes, that’s right. Product placement. In case you’ve forgotten this bit of dialogue between Sawyer and Charlie (What? You haven’t watched the episode over and over again at ABC.com or downloaded an HD rip via IRC or BitTorrent*? For shame.) here’s the snippet from when Charlie was commending Sawyer on his boar-barbecuing prowess: Charlie: “Ah, it’s delicious.” Sawyer: “Just a little DHARMA A-1 and paprika.” There you go. A-1 Sauce. The bottle of DHARMA A-1 figures prominently in the scene with Sawyer holding it approvingly during his conversation with Charlie. 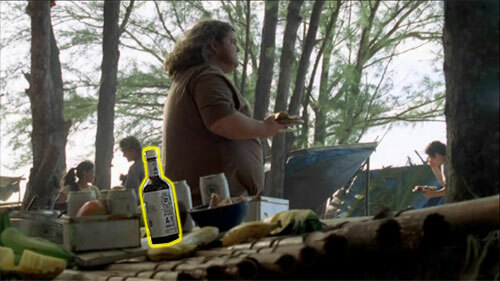 The A-1 bottle appears on screen just short of 30 seconds and is pretty much placed in the foreground for about half of that time. Did Kraft Foods pay a promotional consideration to have their product DHARMA-ized, misnamed (it’s actually A.1. ), and then mentioned on the show? 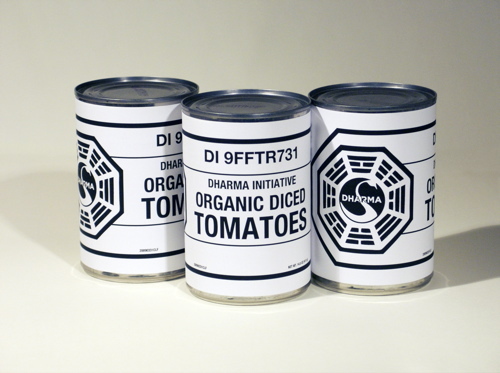 Why create a DI A-1 Sauce—why not a DHARMA Initiative 57 Sauce? Or a 15 + 42 Sauce? Is Kraft Foods actually a front for the shadowy Hanso Foundation? Does the Lost production art department just like A.1. Steak Sauce? Who puts A.1. on pork anyway? 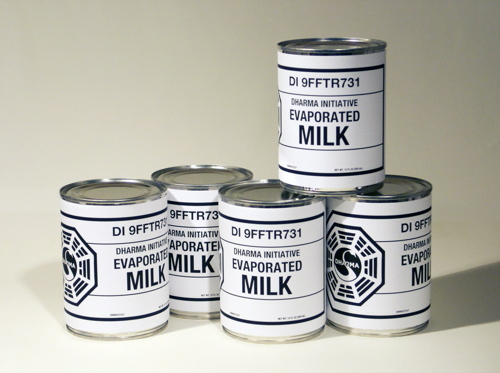 Am I just spending way too much time looking at food items on Lost? The Tomatoes PDF contains labels for plain old diced tomatoes and holier-than-thou organic diced tomatoes (’cause that’s how we roll at Max Pictures). No photo of cans of DI corn since I don’t have canned corn to convert. 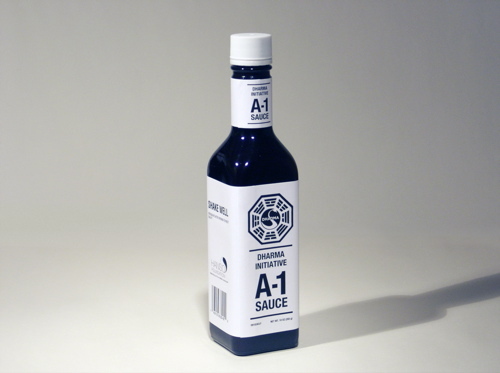 Okay, now to find something to pour this DHARMA Initiative A-1 Sauce on. *Kids, do not download copyrighted material you haven’t paid for! This entry was posted on Wednesday, April 11th, 2007 at 10:59 am	and is filed under Books, Film/Video, Food, Graphic Design, Technology, Train Life. You can follow any responses to this entry through the RSS 2.0 feed. Responses are currently closed, but you can trackback from your own site.